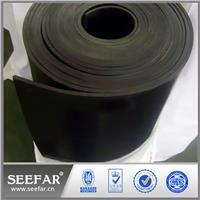 Fluorine Rubber Sheet is designed for extreme heat, oil and chemical resistance. They have very good resistance to many aliphatic hydrocarbon fluids that act as solvents for many other rubbers. Send your drawing or requirement detail tu us, then we can customize for you. 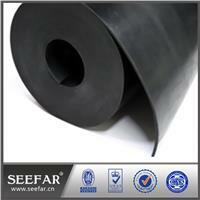 Fluorine rubber sheet is designed for extreme heat, oil and chemical resistance. They have very good resistance to many aliphatic hydrocarbon fluids that act as solvents for many other rubbers. Fluorine rubber sheet also has good compression set attributes even at temperatures. They also exhibit good resistance to atmospheric oxidation, sun, and weather, and has excellent resistance to fungus and mold. Fluorine rubber sheet is used for very specific applications needing a combination of heat resistance and corrosion resistance. Fluorine rubber sheet exhibits outstanding resistance to ageing and are flame retardant. Fluorine rubber sheet is not generally resistant to ketones, low molecular weight esters (such as ethyl acetate), or nitro containing compounds. Products are not usually serviceable below -20°C. Our Fluorine rubber sheet is available In various sizes, sections, color as per requirement.